Great pizza. Great lips. Great sunglasses. Common thread: if something’s coming toward your face, some greatness is usually required. 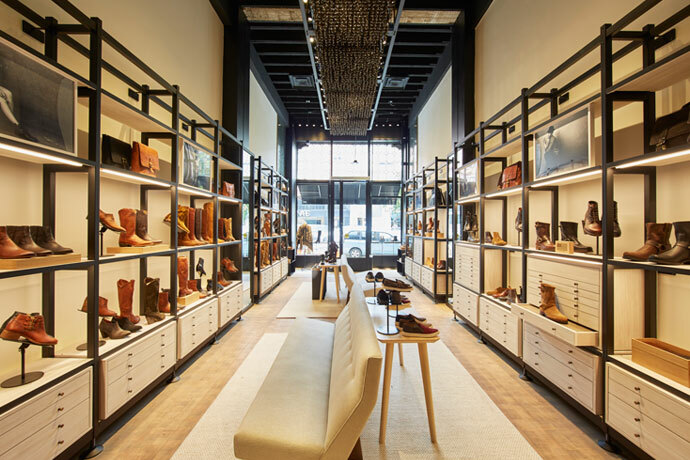 Now is the time for you to meet Oliver Peoples, the new Union Square shop from the famed LA-based eyewear purveyor—it’s San Francisco’s first, and it’s soft-open as of today. As far as your body is concerned, your eyes don’t take up too much real estate. But they’re getting a lot of attention here. It’s a roomy, modern den with woven-wood walls, a tree-trunk table and plenty of space to lounge with a magazine. In case your try-on process is more extensive than most people’s. Guess you’ll have to wait and see.